The 20/20 Experience World Tour hit the Midwest this past Friday and Monday! In Oklahoma City, Justin and The Tennesee Kids brought #JT2020Tour to the Chesapeake Energy Arena on December 5th. Fans came from near and far. One pair of teenage girls even flew fourteen hours from New Zealand for the show. In honor of Garth Brooks, who Justin has deemed the "GOAT" - greatest of all time, Justin did an impromptu cover of Brooks' "Friends In Low Places." To sum it up - Oklahoma City - thanks for a great night! Three days later Justin and the Tennessee Kids hit the stage again. This time at the United Center in Chicago. Last year Justin performed for a out crowd at Solider Field with Jay Z, and then earlier this year he had two full capacity United Center shows. 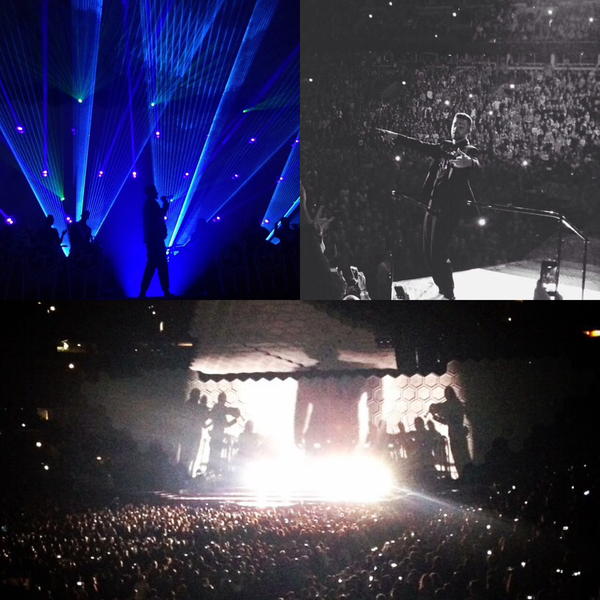 This past Monday it was clear that the demand for the #JT2020Tour had done nothing but grow. It was a sold out show and the Chi-town fans were ready to party! Photos from the concert at United Center are below. A big thank you to all of The Tennessee Kid social reporters who snapped these great pics at the shows! All of your photos were on point for these shows. Canada - you're up next TONIGHT! Let's make it count! P.S: There are still a few tickets left to see #JT2020Tour, so don't miss you last chance to see Justin and The Tennessee Kids on this tour! Tix available HERE. I was at the Chicago show in the GA VIP section. Amazing!!! I got to meet Sean again, Zenya, Leon, and Justin(not Timberlake lol). I shook Zenya, Aaron, Nicole, JK, and Adams hand while they were on stage.